Here is my project. Toy Wars for GC and Wii. It's one submission although there are two different binaries for the game (one for GC and one for Wii) and the data is slightly different. Anyway if I have to choose between one of them to be judged I take the GC version (which can be played on Wii anyway using the backwards compatibility). I don't have time to post videos nor images, so just the download links. 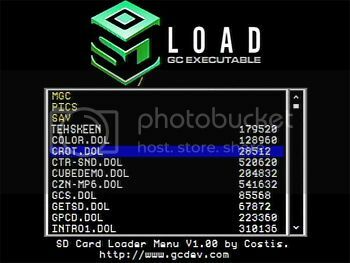 The GC version must be played using an SD gecko adapter and launching the game using some DOL loader. For the Wii version you should choose a config file. Classic pad, GC pad or nunchunk. Just rename the config file to "config". 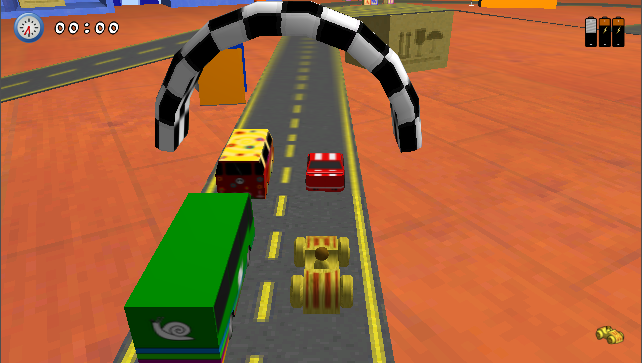 The port has been done using something I've called OpenGX, which is an OpenGL-like implementation using GX. It has some bugs but works nice and it's capable of lighting and mipmapping for example. It's opensource and I'll release it in a few days when I have more time to work on it. 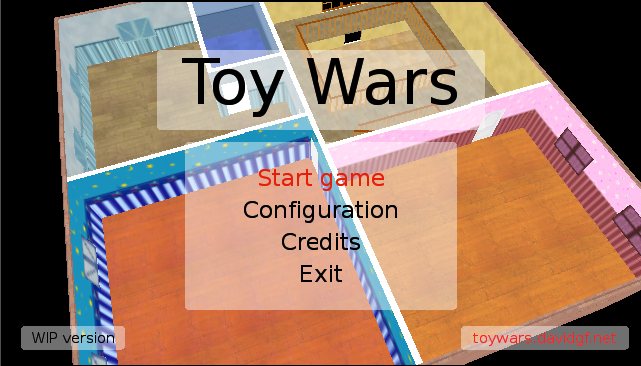 toywars.gc.dol file on wii archive ! I'm sorry, I had a hurry and I uploaded it so fast. Can I reupload it later (in a few hours, I'm away from home)? The fact is that neoflash has been down for some time and I used a logo from google cache!!! Here some photos and video! The video is form a slightly newer version. Has anyone tried it??? The Wii version is unstested! Only tested it on dolphin, I do not own a Wii. The GC works, tested on real HW. I've used sdload, I dunno where I downloaded it or which version is. I don't have the GC and all the stuff here right now, but I'll give it a closer look whenever I can. I can certify that it works. I tested it using and old 128MB sd card, a 12cm DVD burned with the sdload ISO (using dvdtools in linux) and the adapter inserted in slot A. The adapter is a cheap chinese one which I found on ebay.